Gov. 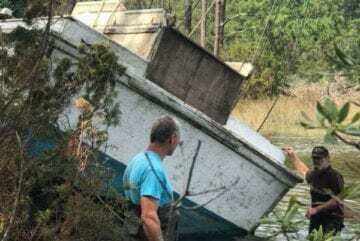 Roy Cooper is calling for federal help for North Carolina’s commercial and recreational fisheries impacted by Hurricane Florence in September. In a letter to Secretary Wilbur Ross, Cooper asked the U.S. Department of Commerce to declare a federal fishery resources disaster, because of the damage caused by Hurricane Florence. Declaring a federal fishery resource disaster can assist with long-term relief for families that rely on recreational and commercial fisheries. “This was the storm of a lifetime for many coastal communities. The damaging economic impact to the state’s fisheries was, and continues to be, significant. While state appropriations will begin to afford some limited initial relief, much more is needed,” Cooper wrote in the letter. According to the state Division of Marine Fisheries, commercial fishing generated over $96 million in revenue in 2017, supporting hundreds of jobs and strengthening local economies. Hurricane Florence’s historic rainfall, brutal winds and powerful storm surge compromised fishing grounds, damaged and destroyed fishing boats and gear, suspended shellfish harvests in affected areas and cost fishermen critical income, according to the governor’s announcement. While local recovery efforts are ongoing, marine fisheries need additional resources and funding to recover, Cooper’s office noted. “Federal fisheries disaster assistance can provide the means to a longer-term recovery that North Carolinian fishermen so desperately need,” Gov. Cooper wrote. Last month, Cooper recommended that state legislators appropriate $12 million to help state fisheries with disaster recovery. The General Assembly funded just $1.6 million of that request to the Division of Marine Fisheries, to compensate commercial fishermen and shellfish harvesters for equipment and income loss.